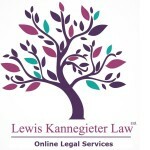 Unbundled Legal Services - Lewis Kannegieter Law, Ltd.
For clients looking for a little assistance, but who do not want or need full representation, we offer a variety of unbundled, or limited scope, services through our Virtual Law Firm available at www.YourMinnesotaFamilyLawyer.com. With unbundled legal service clients hire an attorney for a specific or limited purpose instead of retaining the attorney’s services for full-representation. The client is able to get legal advice and coaching on a particular matter while representing himself (pro se) on the case. Our Virtual Law Firm allows us to provide these services securely online.